Mobile imaging units are proving their utility in many ways. 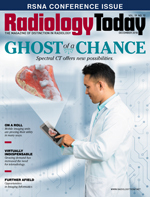 In an effort to reach patients either more quickly or at all, a growing number of health systems are loading their imaging capabilities on wheels and taking their "show" on the road. Here's a look at three mobile imaging units—one for stroke, one for lung cancer screening, and one for breast cancer screening for women veterans—that are directly bringing needed health care to patients where they live. The University of Tennessee (UT) Health Science Center College of Medicine launched its comprehensive mobile stroke unit in the summer of 2016. It serves the entire city of Memphis and is on the road 15 days per month from morning until early evening. "The number of stroke calls goes down after dinner and, because of that, we operate from 8 AM to 8 PM," says Andrei V. Alexandrov, MD, RVT, chairman of the department of neurology at UT Health Sciences Center and Semmes-Murphey Professor. The mobile stroke unit answers about four or five 911 calls a day. "Fifty percent of the time, dispatchers call you to the scene for a stroke, and it's not a stroke," says Anne W. Alexandrov, PhD, RN, CCRN, NVRN-BC, ANVP-BC, AGACNP-BA, FAAN, chief nurse practitioner (NP) for the mobile stroke unit and a professor with the UT Health Science Center's College of Nursing. However, if the NP on site suspects that the patient likely had or is having a stroke, she can arrange for a head and neck CT to be done onboard within minutes in a driveway or on the street outside the patient's location. The only caveat is that the mobile unit must be parked on level ground for the scan to be performed. The driver of the truck is tasked with making certain that it is. The mobile stroke unit has a Siemens Healthineers 16-slice CT scanner. Because it is 16-slice, it became the first mobile stroke unit in the world to achieve accreditation from the Intersocietal Accreditation Commission. In May 2018, it received a three-year accreditation in the areas of neurological CT, acute stroke, and vascular CT angiography (CTA). The Siemens scanner has an ultrafast scanning time and a large donut, Anne Alexandrov says. "Because of this, we can get CTA from the aortic arch straight up through the entire brain. Other mobile stroke units that are out there are using 8-slice CTs with small donuts, so if they choose to perform CTA it will include only the circle of Willis." The Siemens scanner takes only about 3 1/2 minutes for both the noncontrast CT and the CTA to be completed and ready for review. The onsite NP looks at the CT scan as it is being acquired and determines whether the patient is bleeding. She also determines whether to administer the clot-dissolving drug tPA after consulting with the vascular neurologist on call. The sooner tPA is administered, the more effective it is likely to be. The results of the scan are saved onto a USB stick and transported with the patient to the hospital. Then, it is uploaded to the hospital's PACS, and later it is officially read for the record. The scan quality allows patients to go directly through the emergency department and into the interventional suite without stopping for additional scanning, Anne Alexandrov says. "We've never once had to repeat the scanning in the hospital because of image quality. Our mobile stroke unit is essentially the emergency department for these patients." The patients are scanned exactly the same way they would be scanned in radiology departments, Andrei Alexandrov adds. "Our median time from arrival on the scene to administration of tPA in the field is 13 minutes," Andrei Alexandrov says. The unit is operating on a 15-day schedule as part of a multicenter study aiming to demonstrate that mobile stroke units treat patients faster, are as safe as hospitals, and, possibly, produce better outcomes because of ultraearly treatment, he says. Several mobile stroke units are in use throughout the country, in Houston—which was the first unit in the United States and third in the world; Cleveland; Denver; Toledo, Ohio; Los Angeles; Chicago; New York; and Atlanta. Northwestern Medicine's Central DuPage Hospital in Winfield, Illinois, has the only other 16-slice CT aboard its mobile stroke unit, which launched in 2017. The 15-day per month schedule will allow researchers to compare data and see whether faster treatment time translates to better patient outcomes. The goal of the mobile stroke unit is to be able to diagnose and treat stroke within what's known as the "golden hour," the first 60 minutes after the onset of symptoms. "We have collected every case over the last two years, and we already know that we are treating stroke patients on average 72 minutes faster if they are picked up by the mobile stroke unit," Andrei Alexandrov says. Andrei Alexandrov is certain that more health systems will employ mobile units, especially now that the Centers for Medicare & Medicaid Services is moving toward better reimbursement of telehealth services, including administering tPA in the field. "I have a feeling that mobile stroke units are here to stay," he says. As with stroke, the sooner patients are diagnosed and treated for lung cancer, the greater their chance of survival. Most patients with lung cancer don't have symptoms until the disease is advanced. Symptoms include a persistent cough, sputum streaked with blood, chest pain, voice change, worsening shortness of breath, and frequent bouts of pneumonia or bronchitis. A low-dose CT scan of the lungs can detect early-stage lung cancer in patients without these symptoms, when it is most curable. In 2015, Medicare determined that it would cover lung cancer screening with CT for individuals who are at high risk. That includes individuals with a history of smoking at least one pack per day for 30 years and former smokers who have quit within the past 15 years. A 10-year Dutch-Belgian study presented at the 2018 World Lung Conference on Cancer in Toronto in September found that screening reduced mortality in male smokers by 26%, compared with those who weren't screened. That's higher than the 20% reduction the National Lung Screening Trial found when it was completed in October 2010. While screening is proving successful, however, former and current smokers aren't taking advantage of it. "We aren't catching it until patients are symptomatic, and by then they have stage 3 and stage 4 lung cancer," says David Webster, chief operating officer of NeuroLogica Corporation in Danvers, Massachusetts. To address this problem, NeuroLogica put a low-dose CT scanner on an ambulancelike vehicle and, in conjunction with Levine Cancer Institute in Charlotte, North Carolina, launched a mobile unit for lung cancer screening in April 2017. The idea wasn't unique, Webster notes. "Screening for breast cancer aboard mobile units with mammography has been around for a while, but this was a new reason to take to the hinterlands," he says. The mobile lung cancer screening unit is the first of its kind in the country. Levine Cancer Institute was a willing partner because it has a rapidly growing cancer center and is trying to proactively find early-stage lung cancer to treat and improve mortality, Webster notes. The area Levine's mobile unit serves is significant, Webster says, because many in the area are smokers or former smokers and they live in poorer, rural areas where it may be difficult for them to get to centers that have screening capabilities. "The mobile unit goes out to high-risk areas where there are high-risk populations and brings these complimentary screenings to the people," he says. "Many weren't taking advantage of the screening for a number of reasons. Some of it is fear of finding out they have lung cancer. Some of it is convenience. By having a vehicle come into their community, they are more likely to show up for screening." The 32-slice CT scanner aboard the mobile unit is FDA cleared for low-dose lung cancer screening and meets the technical requirements for the ACR screening designation. One advantage of the scanner is that it runs off of rechargeable lithium batteries and is fully lead shielded. "This makes it perfect for a portable vehicle," Webster says. Conventional CTs require extremely strong power supplies, he adds. "We are able to achieve the necessary power with the batteries, and the batteries recharge off the wall," Webster says. Conventional CTs are put in lead-shielded rooms. "Ours is designed so the scatter is very low and it's safe to use in a vehicle," he continues. Also, the scanner moves, rather than the bed. When the bed moves through the gantry, as with conventional CT, it requires a very large room. "With our design, we can put it on the back of an ambulancelike vehicle and not have to haul around the equivalent of an 18-wheel cargo container," Webster says. The unit has a set route and publicizes its locations in advance so people know where and when to look for it and can sign up for screening. It is on the road weekly and covers 11 counties. At each stop, it is open for about six hours and is able to accommodate as many as 32 patients. The scans are transmitted over the internet back to the cancer center, where radiologists who specialize in lung images read them. Patients are given a report with their results within 24 to 48 hours of their scan. Levine Cancer Center has found that the mobile unit pilot program is not only finding more lung cancers in their early stage but also that they are being treated successfully. Webster says a big challenge with lung cancer screening mobile units is designing equipment that is portable. "We overcame that," he says. The bigger challenge, he says, is getting the medical community and the public to embrace early screening for lung cancer. Unfortunately, Webster says, "there is still some stigma associated with smoking and lung cancer." Webster also says that more centers are looking to put mobile lung cancer screening units on the road. "We suspect, in the next 12 months, [we will] send out five to 10 of these vehicles [from various centers]," he says. While women veterans are a minority group, the number using VA health benefits is on the rise. Indeed, the number using Veterans Health Administration (VHA) services has tripled since 2000. VHA sites looked at mobile mammography as an opportunity to expand access to care for rural female veterans, says Lisa Wall, assistant director for the VA's National Radiology Program Office. In November 2011, the VA launched its first mobile mammography unit in conjunction with the South Texas Healthcare System in San Antonio. The unit goes to several small and larger outpatient clinics in the area a minimum of five days a month. A second mobile mammography unit started in September 2015 in North Carolina and serves the Greenville and Wilmington areas, alternating sites every three months. The vans, Wall says, "offer the convenience for women who have appointments at outpatient clinics to receive their mammograms at the same time." All images are sent to radiologists who specialize in breast imaging to read in a timely fashion, Wall says. The care women receive from mobile units is no different from what they would get at brick-and-mortar facilities. The mobile units are equipped with 2D X-ray machines for screening mammography. If patients need any additional imaging, they are seen within the VA health care system or referred to local community providers. The daily workload is not exceptionally high, Wall says. "We see about five patients a day on our mobile units." However, she says, the VA provides the mobile mammography units because early diagnosis of breast cancer is important for all women. "This is a veteran-centric way to encourage women to have their annual mammography," Wall says. "We're very much for women veterans. It's their VA, too."